Chevron Philippines Inc., marketer of the Caltex brand of fuels and lubricants, looks forward to more milestones in 2017 after wrapping up a fruitful 2016 marked by retail expansion, new, and strengthened partnerships, and more customer value rewards propositions. Chevron opened 31 new Caltex sites in 2016 to improve motorists’ access to clean and quality Euro 4-compliant fuels and lubricants. These include sites in Negros Occidental and Bacolod; Davao Region; Cavite; and Manila. All in all, Chevron has close to 700 retail sites across the country, and it continues to expand its nationwide presence. Chevron also strengthened and formed new partnerships last year as part of its commitment to keep up with motorists’ changing lifestyle needs. 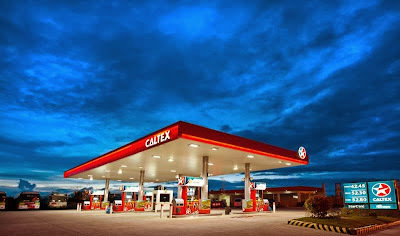 Caltex opened its 80th 7-Eleven convenience store in its San Mateo, Rizal retail site in May. It also forged a new partnership with Landers Superstore, the newest membership superstore chain offering high-quality, imported and local products, including grocery items, electronics, apparel, health and beauty products, and home items. As part of this partnership, Landers Superstore cardholders can avail of exclusive discounts and privileges at the new Caltex site inside Landers Superstore compound in Paco, Manila. Shoppers can expect similar perks in more Caltex stations as Chevron expands its partnership network. “Our aggressive retail service station expansion, strengthened partnership network, and loyalty promotions were fueled by our resolve to enhance our relationship with Filipino motorists. We will continue to look for more opportunities to address motorists’ needs while adding value to our products and services this 2017,” said CPI Country Chairman Peter Morris. Chevron has rewarded loyal patrons through tie-ups with partners such as Robinsons Rewards Card (RRC), HSBC Credit Card and the Jollibee group of restaurants. RRC and Jollibee Happy Plus cardholders earned double points after gassing up at participating Caltex stations during the Holy Week. Motorists who gassed up at participating stations during the Undas season were also able to avail of promotions such as the Liter Lottery Promo, which entitled winning motorists to get a full tank for free when the liter meter matched their vehicle’s license plate number. Caltex, together with RRC, gave away a brand new Lexus NX 200t and a year’s worth of fuel to one lucky customer during the Christmas season. One lucky motorist was also able to erase up to P 1 million HSBC Credit Card balance last Christmas. 2017 is sure to be filled with new and exciting promotions that should give dedicated Chevron customers reasons to look forward to gassing up in Caltex and further enjoy their journeys.